I posted about the 3 views of special relativity, which may be called the Lorentz aether theory (LET), Einsteinian special relativity (ESR), and Minkowski spacetime (MST). Briefly, Lorentz explained the contraction (and Lorentz transformation LT) as motion causing an electromagnetic distortion of matter and fields. ESR deduces the LT as a logical consequence from either the Michelson-Morley experiment (as FitzGerald 1889 and Lorentz 1992 did) or from postulates that Lorentz distilled from that experiment and Maxwell's equations (as Einstein 1905 did). MSR recasts the LT as symmetries of a 4-dimensional geometry (as per Poincare 1905 and Minkowski 1908). In case you think that I am taking some anachronistic view of MSR, I suggest The Non-Euclidean Style of Minkowskian Relativity and Minkowski’s Modern World (pdf) by Scott Walter, and Geometry and Astronomy: Pre-Einstein Speculations of Non-Euclidean Space, by Helge Kragh. Non-Euclidean geometry was crucial for the early acceptance and popularity of special relativity in 1908, and dominated the early textbooks. While the Lorentzian constructive view is unpopular, it has some explanatory advantages, and is a legitimate view. I tried to add a sentence last year saying that to the Wikipedia article on length contraction, but I was overruled by other editors. To answer this, you have to understand that Poincare and Minkowski were mathematicians, and they mean something subtle by a geometrical space. Roughly, a geometrical space is a set of points with geometrical structures on it. The subtle part is that it must be considered the same as every other isomorphic space. So a space could be given in terms of particular coordinates, but other coordinates can be used isomorphically, so the coordinates are not to be considered part of the space. The space is a coordinate-free manifold with a geometry, and no particular coordinates are necessarily preferred. The concept is so subtle that Hermann Weyl wrote a 1913 book titled, "The Concept of a Riemann Surface". The concept was that it could be considered a coordinate-free mathematical object. I can say that in one sentence, but Weyl had a lot of trouble explaining it to his fellow mathematicians. Minkowski space can be described as R4 with either the metric or LT symmetry group (or both), but that is not really the space. It is just a particular parameterization of the space. There is no special frame of reference in the space, and many frames can be used. Poincare introduced Minkowski space in 1905, and gave an LT-invariant Lagrangian for electromagnetism. The point of this is that the Lagrangian is a (covariant) scalar function on the coordinate-free Minkowski space. He then introduced the 4-vector potential, and implicitly showed that it was covariant. Minkowski extended this work in 1907 and 1908, and was more explicit about using a 4-dimensional non-Euclidean manifold, and constructing a covariant tensor out of the electric and magnetic fields. With this proof, the fields became coordinate-free objects on a geometrical space. This is explained in section 8 of Henri Poincare and Relativity Theory, by A. A. Logunov, 2005. Thus the physical variables are defined on the 4D geometrical space. The LT are just isomorphisms of the space that preserve the physical variables. This concept is like the fact that Newton's F=ma means the same in any units. To do a calculation, you might use pounds, grams, or kilograms, but it does not matter as long as you are consistent. The physical variables do not depend on your choice of units. Changing from pounds to grams does not affect the force, and the LT does not transmute spacetime. They are just changes of coordinates that might make calculations easier or harder, but do affect any physical reality. To answer Dan's question, motion is just a change of coordinates, and in MST, the physics is built on top of a geometry that does not depend on any such coordinates. Motion by itself is not a real thing, as it is always relative to something else. To me, the essence of special relativity is that it puts physics on a 4D non-Euclidean geometry. That is why it bugs me that Einstein is so heavily credited, when he only had a recapitulation of Lorentz's theory, and not the 4D, symmetry group, metric, covariance, and geometry. Many physicists and historians blame Poincare for believing in an aether with a fixed reference frame. The truth is more nearly the opposite, as Poincare said that the aether was an unobservable convention and proved that symmetries make all the frames equivalent in his theory. For Buzz the LT will describe very well his altered perspective. But it would be as inappropriate to explain length contraction, time dilation and loss of simultaneity as resulting from a physical transformation of space or spacetime as it would be to describe the rotation of an object in 3-space as a rotation of space rather than a rotation in space. Some books try to avoid this issue by saying that ESR only applies to inertial frames like Mary, not Buzz. But historically, Lorentz, Poincare, Einstein, and Minkowski all applied special relativity to accelerating objects. General relativity is distinguished by gravitational curvature. Dan argues in his paper that LET gives a physical explanation for what is going on, and ESR does not. I agree with that. Our disagreement lies with MST. I say that there are two ways of explaining this paradox, and they are the same that Poincare described in 1905. You can follow Lorentz, say that everything is electromagnetic, and attribute the LT to distortions in matter and fields. Dan's paper explains this view. His second explanation was to say that relativity is a theory about “something which would be due to our methods of measurement.” The LT is not a contraction of matter or of space. It is just a different parameterization of a geometric spacetime that is not affected by motion at all. Let me give my own thought example. Suppose Mary and Buzz are on the equator, traveling north side-by-side to the North Pole. Assume that the Earth is a perfect sphere. Along the way, Buzz takes a right turn for a mile, then two left turns for a mile each, expecting to meet back up with Mary. Mary waits for him, but does not alter her northerly path. Then they discover that they are not on the same course. What happened? You can apply Euclidean geometry, draw the great circles, and find that they do not close up. Or you can apply spherical geometry, where Mary and Buzz are traveling in straight lines, and note that squares have angles larger than 90 degrees. The problem is not that matter or space got transmuted. The problem is that Buzz took a non-Euclidean detour but returned with Euclidean expectations. In Dan's example, Buzz takes a detour in spacetime. It does not do anything strange to his spaceship or his clocks. The strangeness only occurs when he uses Euclidean coordinates to compare to Mary. Nothing physical is strange, as long as you stay within Minkowski's geometry. Thus there are two physical explanations for the special relativistic effects. One is the FitzGerald Lorentz LET, and one is Poincare Minkowski geometry. Einstein gives more of an instrumentalist approach to LET, and does not really explain it. The subject of probability is endlessly confusing to most people, and that confusion gets amplified in quantum mechanics. A lot of the mystery of quantum mechanics is rooted in simple misunderstandings about logical reasoning that little to do with quantum mechanics. I have been arguing this here for a couple of years. The theory of quantum mechanics predicts probabilities. This should not be troubling, because all other scientific theories do the same thing. Belief in the many-worlds interpretation (MWI) is based on a belief in time reversal symmetry, followed by a rejection of probability. The MWI advocates don't really believe in probability, because they believe that if there are many possibilities of events occurring in the past, then there must similarly be all those possibilities in the future. Their theory is then untestable, because they refuse to make probabilistic predictions, and say that all possibilities occur in some worlds and it is meaningless to say that some worlds are more likely than others. You could take any theory with probabilistic predictions, and hypothesize that each probability is really a branch into a parallel universe. Thus you could believe in MWI without even mentioning quantum mechanics. Usually the MWI arguments are couched in quantum technicalities, but they are mainly just a misunderstanding of probability. An exchange with the reader reminded me that I wanted to dedicate a special blog post to one trivial point which is summarized by the title. This trivial issue is apparently completely misunderstood by many laymen as well as some low-quality scientists such as Sean Carroll. This logical arrow of time is a simple, elementary, and irreducible part of our existence within Nature. But it has consequences. If you think about the comments above and recognize that all these things are as clear as you can get, you should also understand that there is no "measurement problem" in quantum mechanics – the existence of the "a measurement" is tautologically an inseparable part of any statement about the corresponding "probabilities". He is right about this, and the MWI folks are hung up on this simple point. Confusion about probability leads to other faulty conclusions. For example, some say that quantum mechanics proves that nature is inherently probabilistic, and hence there must be some underlying reality of all the possibilities that can be represented by hidden variables. No, quantum experiments have proven that wrong. Physicists should take a math class in probability before they start trying to rewrite the foundations of quantum mechanics. When people think of statistics, they may imagine lists of numbers — batting averages or life-insurance tables. But the current debate is about how scientists turn data into knowledge, evidence and predictions. Concern has been growing in recent years that some fields are not doing a very good job at this sort of inference. In 2012, for example, a team at the biotech company Amgen announced that they’d analyzed 53 cancer studies and found it could not replicate 47 of them. It is a problem that major cancer studies cannot be replicated, but the suggestion here is that Bayesianism solves the problem by avoiding lists of numbers and using more computing power. That is nonsense. It quotes Andrew Gelman as a prominent Bayesian gurn, but he disavows much of the article, including nearly all the opinions attributed to him. Still, he says that it is a good article, because he expects dumb journalists to screw up the content anyway. This is too confusing to be useful. There are some hidden assumptions about how Mr. Hall opens the door, or the problem cannot be solved. It says "odds" instead of "probability". Furthermore, it doesn't really require Bayesianism because other approaches give the same answer. The article is really about Bayesian probability, an increasingly popular interpretation of probability. The interpretation has a cult-like following, where followers insist that it is the most scientific way to look at data. Bayesianism has its merits, but it is just an interpretation, and is not provably better than others. There are some subtle points here, as some of the confusion over quantum mechanics is rooted in confusion over how to interpret probability. The NY Times should have asked Gelman to review the article for accuracy before publication, but the paper considers that unethical. All five research groups came to the conclusion that last year’s heat waves could not have been as severe without the long-term climatic warming caused by human emissions. “When we look at the heat across the whole of Australia and the whole 12 months of 2013, we can say that this was virtually impossible without climate change,” said David Karoly, a climate scientist at the University of Melbourne who led some of the research. It seems obvious that if you take a computer model of the Earth's climate, and subtract out some human-attributed warming, then the model will show the Earth not as warm. Or that if you observe some extreme weather, you can attribute it to climate change. What's missing here is some showing of a net worsening of the climate. Maybe some extreme cold waves were avoid. And what's also missing is a showing that the human influence is significant. Maybe humans made the heat waves worse, but only slightly, and not enuf for anyone to care. The research papers probably address these points. I get the impression that the NY Times staff wants to convince everyone of various evironmental causes associated to global warming, but I don't think these explanations help. A new global geek squad is harnessing cryptography to stay a step ahead of cybercriminals. This system of public and private keys is known as the RSA algorithm. That beautiful piece of mathematics has fundamentally changed the world around us. I do not think that these explanations are very helpful. It is true that most SSL web servers use RSA, but Diffie-Hellman came first and is arguably superior for most purposes. That was the real breakthrough. And trial and error is not the only way to break RSA, as other methods are asymptotically much faster. It has made the hunt for very very large prime numbers one of the most important quests in the field of mathematics. And here is the current largest, all 5000 pages of it. This is nonsense. These numbers have almost no importance to either mathematics or cryptography. They are just a silly curiosity. The mathematics of the world of the very small means that things can be in many places at the same time. ... They may be a way to crack the world's most powerful codes. Not really. Saying that particles can be in more than one place at the same time is just an interpretation of the wave function, and has never been observed. So you can choose to believe in it or not, and no one can disprove you. They go on to explain qubits as being 0 and 1 at the same time, so that a quantum computer can calculate both simultaneously. Scott Aaronson argues on his blog that this is a bad explanation, because it leads you to believe that quantum computers are more powerful than they really are. It blows the doors off of RSA encryption. Right. All we need is more and more qubits, a larger quantum computer. Really all that's left to do is to scale up this particular architecture. This is just nonsense. They have not made a scalable qubit, and there is no known way to scale up what they have. They have never achieved that quantum speedup. Quantum computers are particular fine for ... or for simulating happens when a black hole collapses, or for that matter, a recent experiment that we did to actually implement a version of time travel. But quantum mechanics also provides methods of communicating securely in a way that is guaranteed by the laws of physics. Quantum cryptography is already used by folks who want extreme security. By banks and by agencies whose job is to protect information. And nowadays there are number of commercial companies who actually build quantum cryptographic systems. For a fee, you too can communicate in communicate in complete and utter privacy guaranteed by the laws of quantum mechanics. Before you pay that fee, you should realize: Every one of those systems has been broken. No bank or agency uses them for anything important. They cannot be used with routers or any other internet equipment. They cannot authenticate who you are communicating with. Even that supposed quantum mechanics guarantee is just a probabilistic statement that is much weaker than you can get with RSA or other methods. Lloyd admits that these systems are susceptible to an impostor at the other end, but then implies that all crypto systems have this same problem. But that is not true. The main technical advance of RSA was actually not encryption, but authentication. When you log into Ebay or Amazon, it verifies that you are really connecting to Ebay or Amazon. In worst case, you could be connecting to someone who has hijacked the DNS servers and stolen Ebay's RSA secret key, or who built a quantum computer to factor the RSA public key. Neither has ever happened. Quantum crypto offers no such assurances, and you would be on your own to verify that a cable connects directly from your computer to the Ebay server. It can detect certain kinds of tampering, but it cannot detect some hijacking the whole line. I don't know how respectable professors like Lloyd can shamelessly over-hype their field like this. They are charlatans. Even Aaronson is not this bad. An electron is not like a wave of water, because unlike a wave, it hits a screen at a single location. 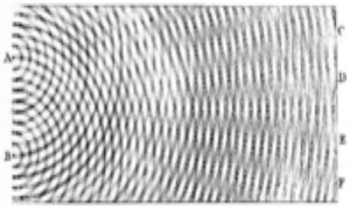 An electron is not like a baseball, because when you throw in a bunch of them through a double slit, they interfere and create patterns of fringes. There is no satisfying analogy that anyone can give you for what an electron is. Some people prefer to think of the electron as being two places at once, or being a wave, or even as being immune to the usual laws of logic. If one of those makes you feel better, then go ahead. But there is no perfect classical analogy of the sort sought by Einstein and Bell. Those who use these analogies to promote quantum crypto or computing are just charlatans. 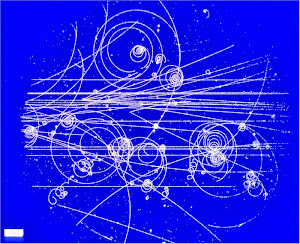 The reasoning is this: (1) quantum mechanics proves that an electron can be in two places at once, as a cat can be in a superposition of dead and alive; (2) a qubit is a computer 0-1 bit that stores a superposition of the two possible states; and (3) a quantum computer processes qubits like a regular computer processes bits, thereby computing all possible data values at once. I am glad to see that Aaronson is writing a whole book on why this reasoning is wrong, but I fear that he will not get to the heart of the matter, because of his faith in quantum computing. The root of the problem is that it is just not true that electrons can be in two places at once, or have negative probability.